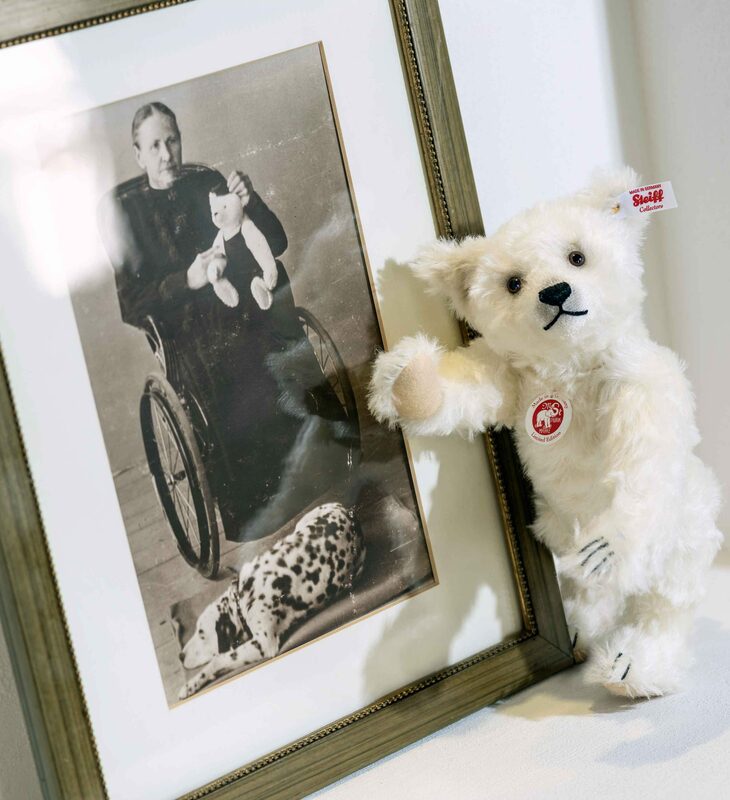 One of the last photos taken of Margarete Steiff shows her holding a white teddy bear. To mark the 110th anniversary of her death in 2019 this special bear has been designed. 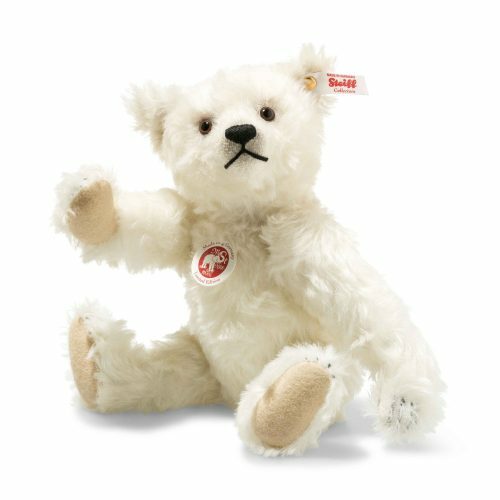 Made of white mohair with airbrushed detail the Margarete Memorial Teddy Bear is fully jointed.